Melbourne - Valtteri Bottas wins the F1 season opener in Melbourne. Lewis Hamilton can't keep up. Vettel and Ferrari are shocked. A wildly determined Valtteri Bottas even races past Lewis Hamilton, Ferrari and Sebastian Vettel are rudely torn from all dreams right from the start. 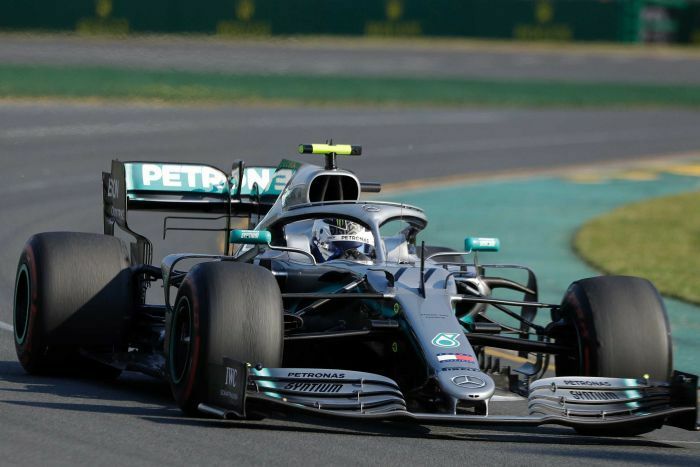 Mercedes opened the season with a one-two victory, but the supposedly so strong Scuderia stumbled into the new Formula 1 year at the Australian Grand Prix. Vettel in fourth place behind Red Bull star Max Verstappen missed the podium with a clear gap. His new team-mate Charles Leclerc finished fifth. The undisputed man of the day was undoubtedly and quite surprisingly Bottas. The Finn took advantage of a weak start from pole-setter Hamilton, passed by and drove inexorably to victory. "This was definitely the best race I've ever driven," said Bottas after his fourth Grand Prix victory. Hamilton said: "I'm happy for the team. Valtteri did a great job. It's a shame that I lost the lead at the start. We have to see what it was all about." In the meantime Bottas extended his lead to over 25 seconds before he calmed down towards the end of the race. When Verstappen briefly took the fastest lap from him, Bottas stepped on the gas again and took it back with a fabulous lap. Thus Bottas also secured the extra point for the fastest race lap, which was reintroduced this year, and now sits enthroned at the top of the World Championship ranking for the first time with the maximum yield of 26 points. Nico Hülkenberg took seventh place in the Renault on a mixed weekend and could leave quite satisfied. For Ferrari and Vettel this was not true at all. At the tests in Barcelona no team had worked as well as the Scuderia. Qualifying laps, race simulations, setup, almost everything seemed to be right from day one. The paddock was therefore largely in agreement: A Ferrari would win the season opener. But from the first training kilometre in Albert Park Mercedes set the tone, qualifying became the show of the silver arrows. Hamilton and Bottas took the front row of the grid, with a huge gap of seven tenths of a second Vettel was only third. But it was above all his view of the past two years that gave him hope. In 2017 and 2018 he had won the season opener, but not from first place on the grid. "We've done this before," he said on Saturday evening. At the start Vettel held his third place, but had to defend it hard against Verstappen and Leclerc. The usually ice-cold Hamilton allowed himself his first carelessness on the first meters of the season: Bottas was able to overtake him due to a not optimal start. In this order the first three started their laps, Ferrari then decided to make an early Vettel stop. The German got the harder medium tires, with which the SF90 worked stronger in practice anyway. Hamilton also had to go to the pits to keep Vettel out of the attack - he didn't like it, because now he had to let Bottas take the lead. "Why did we stop so early?" Hamilton asked on the pit radio. The brief reaction of the command post: "We had to fend Vettel off." But the Brit was no match for Bottas on that day anyway - at times Bottas drove up to one second faster than his team-mate on the same tyres. Vettel only managed to exert a little pressure on Hamilton with fresh tyres immediately after his stop, after which the lap times collapsed again - so much so that he had nothing to resist stapping. The Dutchman passed relatively easily in the 31st lap and went straight away. The last laps became a hunt for the extra point. Bottas, Verstappen and Hamilton added more points - and Bottas was the fastest man of the race in the penultimate lap.